During most of October, the Sun is in Libra. Issues of balance and partnership are on our minds as well as beauty and ambiance—and, of course, love, peace and justice. In my case, the next few months will be very imbalanced on the side of work as I prepare my novel, The Crystal Ball, for publication. I need a rest from new posts on The Radical Virgo since my time is so taken up with the publication and promotion of my book and my leap into fiction. No pun intended, but I flashed on the idea that this would be the perfect time to introduce you to one of my other blogs, Hot Flashbacks/Cool Insights. Hot/Cool is a partner to The Radical Virgo, because without the training ground it gave me as a blogger, I would not have created this astrology blog you’re reading. I posted actively on Hot/Cool from September 2007 – January 2011. While my “spirited living” blog is on archive status now, it still holds some of my favorite articles I’ve ever written. I’d like to repost and share some of them with you here on The Radical Virgo in the coming month. I hope this sampler will be an impetus to explore a new relationship with my older blog. Although I am no longer posting there, Hot/Cool has 174 posts. Most of them, as on The Radical Virgo, are full-length articles. I suspect you’ll find a lot to enjoy. Another balancing act: The articles on Hot/Cool are not written from the lens of astrology, though astrology sometimes might be mentioned in them. 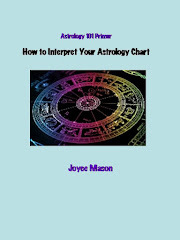 They are, however, written with the larger vision that learning astrology inspires and helps develop. They are bigger picture articles of the same ilk as some of my Bigger Than the Sky posts here, some of which are reprints from Hot/Cool, too. It’s important that we don’t look at the world only through astrology but realize that the biggest possible perspective is what most helps us to evolve as humans. There’s never been a time when we’ve been doing more rapid evolution, so I hope this break from Astro posts in favor of the “spirited living” perspective of Hot/Cool is a pleasant change (nice Libran words). 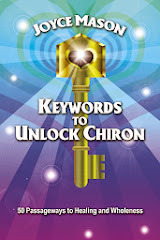 You’ll find a lot of the other Libran keywords in Hot/Cool, too. There will be a lot to ponder about relationships. I hope you'll also enjoy getting to know some of my other forms of writing, as I hope all my readers will come with me to some of my new genres, including fiction. Who couldn't use a little actual mystery, the very humorous kind, to balance all our work here on solving the mysteries of life? Enjoy the hot flashbacks and cool insights! I’m rounding the bend to the launch in November of my first humorous mystery novel. It’s about an Odd Couple astrologer and her ex-FBI-agent boyfriend who bust crimes in progress at a futuristic costume ball. In preparation for The Crystal Ball, I’m offering a free appetizer! 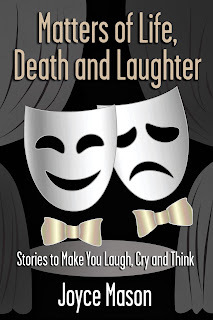 The hors d’oeuvre is my trio of short stories, my e-book Matters of Life, Death and Laughter. It has been updated, including a new cover, for its important role in whetting your appetite for my fiction writing. Matters of Life, Death and Laughter is a trio of my most popular short stories. "Digital" is a tale, as bizarre as it’s darkly humorous, about something that turns up where it doesn’t belong. You can’t help but laugh, even if you think you shouldn't. "The Training Tape" asks you to think about what you say repeatedly and its consequences. "Zoe's Hair" examines the depth of a friendship and how it transcends time and space. As the subtitle says, these stories will make you laugh, cry and think. Matters of Life, Death and Laughter will also be available in e-reader versions on Amazon, Barnes & Noble and other major sites in the next few weeks. Once the e-reader version is available, links will included on the sidebar here on The Radical Virgo. If you’re not already on my mailing list, please join! 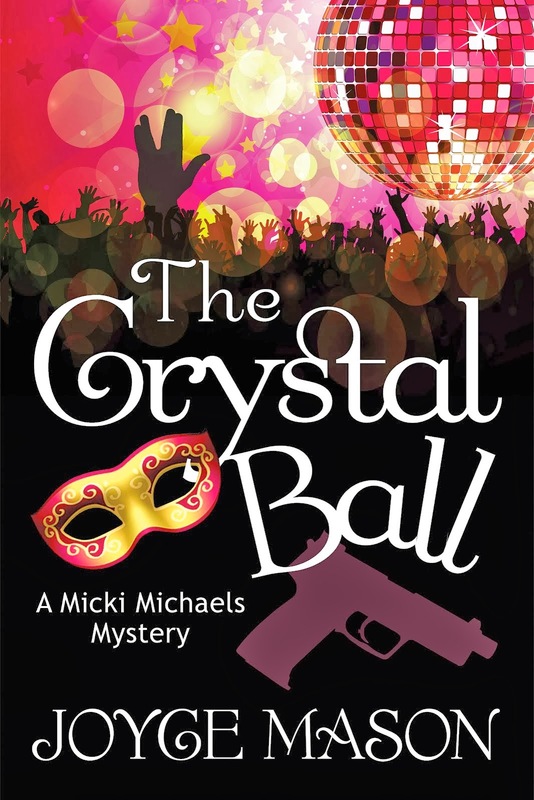 I’ll be offering the first chapter of The Crystal Ball as a free download in a few weeks to mailing list members. To receive it automatically, you must be on the mailing list by Oct. 14. You won’t want to miss this and other, ongoing perks exclusive to the mailing list. See the upper right corner of the sidebar to sign up. FREE DRAWING! I will also be drawing names from the mailing list for a free copy of Golden Prose and Poetry, which I’ll mail to the winner with my story, “Cruel Embroidery,” signed. Drawing will take place on Halloween and will be announced on or about November 1. Meanwhile, enjoy: “Digital,” “The Training Tape,” and “Zoe’s Hair.” It's 30 pages and very conducive to printout, if you prefer. And, of course, I’d love to hear any feedback in the Comments. since the day you were born. Sky patterns have been imbued with mythology since time immemorial. Our constellations and stars—and the signs of the zodiac—are primarily named after mythical figures. Thus, the relationship between astrology and mythology is as old as people looking up at the sky and talking about it. The link to divine wisdom in “the heavens” has always been there, too, and the first religions involved Sun worship. Many of us still see the vast reverence of All Creation in the stars and space. Some of us still see gods and goddesses doing their work in how the planets influence us Down Below. It’s the same idea as the Greek Persephone, daughter of Zeus and Demeter, abducted by Hades. To avenge the abduction of Persephone, Demeter (in Roman myth, Ceres) ruined the harvests and left the earth barren. Only when Demeter struck a deal with Hades (Pluto in astrology) did she relent and release her hold on crop growth, initiating the first rebirth of nature. Because of her mother's negotiation with Hades/Pluto, Persephone remains in the Underworld part of the year, during which the crops die. Nature resumes its course every spring, the natural New Year, when Persephone returns.
" The virgo myth should not be interpreted as a woman who is a virgin, but rather a nurturing woman who is a mother to all of the earth. " Most of the goddesses linked to Virgo like Demeter and Ceres were fertility goddesses or goddesses of the harvest. This view captures Virgo as caring for humankind through her fertility, which in my humble opinion, is more than literal. Because Virgo is a Mercury-ruled sign, this also includes caretaking through her fertile mind. In the constellation Virgo, a woman is said to be holding a spike of corn, punctuating the myth of the Harvest Goddess. These are just the first hints that Virgo is preparing us for the next sign, Libra. 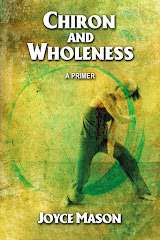 She finds fulfillment in self-containment and teaches us the ropes to get to wholeness and harvest. As stated in Wholeness and the Inner Marriage, s/he who learns self-containment first is unlikely to lose him- or herself in the Sign of Other, the downside of Libra. 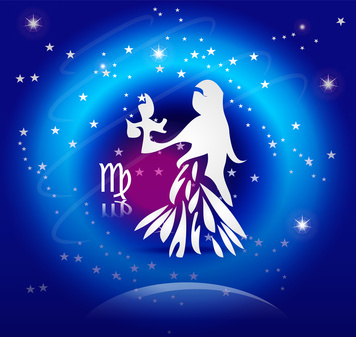 Learning the lessons of Virgo, first, helps us to make the most of the partnership sign. It leads to more realistic, supportive relationships between two whole people, not broken souls seeking partners to make them whole—a terrible burden to place on any human being. 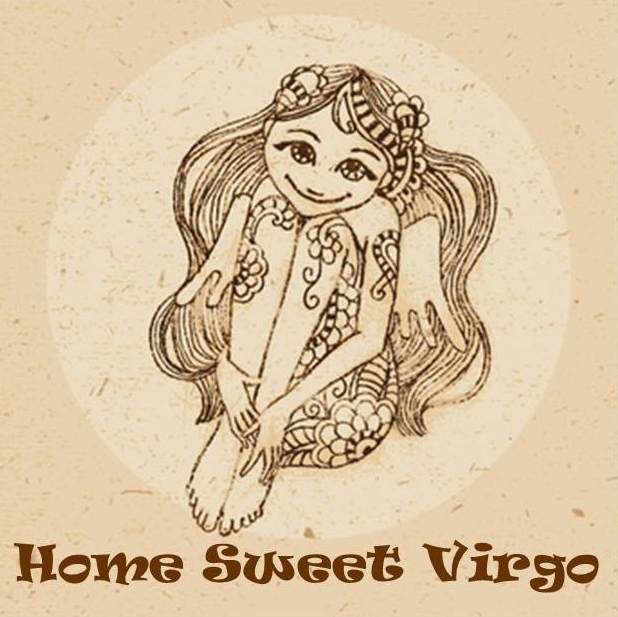 Other mythical women believed to represent Virgo were Dike (Greek), Astrea (Greek) and Erigone (Roman). They all represented Justice, another hint that Virgo sets us up for the sign of Libra. I urge anyone interested in Virgo mythology to read this source material on G&M in its entirety. It is unbelievably rich. The author (uncredited) muses on how it evolved that so many goddesses were considered virgins in the physical way and how that interpretation narrows knowing the true meaning of Virgo. Mentioned as one of those goddesses is Artemis, who was the hunter goddess and Chiron’s foster mother. She has been portrayed in some places as having 50 breasts, ironically the number of years of a full Chiron cycle. She was also written up as a physical virgin. Also noted is the fact that many of the “virgins” in mythology are more tied to the Virgo myth via their mothers, including both Ceres and Demeter. Score another point for the Earth mothering aspects of the sign. In the end, three archetypes evolve out of the various Virgo myths: “the Harvest Mothers, the Ladies of Justice and the Youthful Virgins.” Of all of them, the writer(s) on the G&M site nominate Astrea as the strongest contender for embodying the Virgo myth. The art on the link to Astrea in the previous sentence looks like the epitome of a Radical Virgo—plus one of her names is the Star Maiden, bringing in that radical Uranian flavor to the other aspects of her persona that are Virgoan (virgin) and Libran (goddess of justice). Astrea was the last of the celestial beings to leave Earth. She did so only because she was tired of taking care of a humanity bent on destroying itself. From this bit of mythology, I can’t help but conclude that my contention in the original article, The Radical Virgo, was spot-on about the Virgo archetype’s assignment to help save us during our current, critical turning-point. In the musical Kiss Me Kate, we’re advised to Brush Up Your Shakespeare. (Supposedly it will even wow women to quote him.) My song is Brush up Your Virgo—start mirroring her now. Her skills are crucial to these times and could make or break us. Especially important is looking within for fulfillment, which redirects the responsibility for your happiness to the only person who can create it for you—you. This shift in consciousness alone would create a chain reaction of wholeness capable of changing the world. Imagine humanity with minimal guilt and blame. 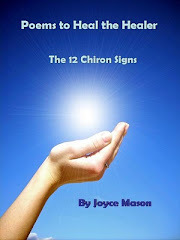 I hope this journey into mythology supports your continued look at the evolution of the sign of Virgo. 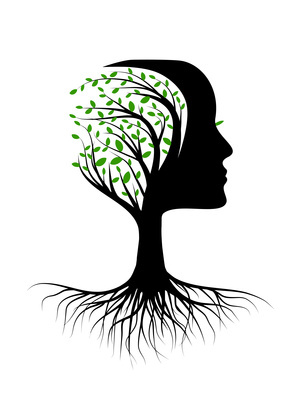 This blog was born to bring that new look to light and to encourage all the possibilities for planetary healing encompassed within the Cosmic Earth Mother archetype I call the Radical Virgo. The Radical Virgo suggests you pass on the movie of the same name, Ishtar (1987). My inner movie critic cringed, but maybe I wasn’t having a funny day. Still, 3.9 stars out of 10 on IMBD does not suggest a blockbuster. Many of you know Hydra from the Chiron myth. It was the many-headed serpent Hercules encountered. The poison he made from its venom was used on an arrow he shot during a skirmish that ended up accidentally piercing Chiron’s leg and causing his incurable wound. This is a continuation of The Radical Virgo, an article I wrote in 1992 that inspired the name and creation of this blog. It’s an update and an expansion, and if you haven’t read the timeless original yet, I recommend as a prequel to this article. My mission to revision the public image of the sign Virgo was written in my birth name, an irony I only realized in writing this new article. Before I was adopted by the Mason family, I was born Maria Teresa during the last hours of Virgo on the cusp of autumn. I was literally the Virgo Maria or the Virgin Mary. Along with a full-impact Catholic upbringing that I took very seriously, there are certain aspects of the assignment to see the sign of Virgo in a new light that come to me naturally. The more I have studied astrology and my specialty Chiron in particular, the more I recognize fulfillment isn’t so much doing what we’re destined to do but having the courage to evolve into and be who we are. In expressing our own seed patterns, the doing takes care of itself. We offer to others insights about, and reflections of, parts of themselves. Hopefully, I am doing this at some level just being “The Radical Virgo,” which people have long called me as a nickname following the original article of the same name. Everyone has the sign of Virgo somewhere in their chart. 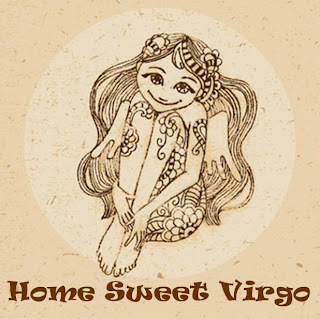 Even if you don’t have planets in Virgo, Virgo is on the cusp of one of your houses. It makes sense to me that someone with her Sun in the last degree of Virgo—the culmination of the sign—might have some observations to offer about Virgoness. Since Uranus squares my Virgo Sun, I suspect this is why I have such a sense of where the Virgo energy is evolving and its role in our unfolding future. Knowing how much Virgos tend to like qualifications, now you have mine for writing on this subject. Onto some of those observations. In the original Radical Virgo article, I wrote at length about Virgo’s connection with sexuality, work and enlightenment. I won’t repeat those ideas here but refer you to Radical Virgo I. Let’s start Radical Virgo II with a recap and expansion of the definition of a Radical Virgo. When I speak of a Radical Virgo, I mean the word radical in these dictionary senses, the Virgo energy carried (1) to the utmost limit, extreme; or a Virgo known for (2) favoring or effecting evolutionary or revolutionary changes. I want to add to this definition, (3) A Virgo who expresses the very root of the Virgo archetype, because radical also means root. This doesn’t mean the superficial tics of the “young” Virgo such as being prissy, nitpicky and germophobic, those things we joke about regarding the sign, even when the “older soul” Virgo still may retain some vestiges of them. This Virgo represents the core values of the sign—purity, self-containment, the ability to analyze and act on higher knowledge and to serve humanity, a destiny to which she gives herself as freely as a woman who has saved herself on her wedding night for the man she loves. This time ‘round, I’d like to focus more on the root imagery of the definition of a Radical Virgo. Imagine your favorite image of the Virgo maiden planted in lush surroundings who morphs into a living composite entity, part human and part plant. She sends her deep taproot into the ground through her legs like a mighty oak. She is the Earth Mother whose feet are planted firmly in the ground and whose head is open to the stars. This is a snapshot of her role, to help us ground divine whispers and direction and to grow things on Earth with the creative inspiration she receives. Most Virgos cannot stand to “sort of” know. They have to know exactly, to gather information and sort it into knowledge. They acquire as much information as possible, separate what’s useful--what contributes to health and wholeness--and then eliminate the rest. This skill is absolutely invaluable in the Digital Age where information is flying at us at a pace we cannot begin to digest mentally. (See Information Indigestion.) Another needed Virgo skill is the ability to organize all that information. It’s great to be a Gemini during this era, too, because Gems are wired to handle a lot of informational input. Gemini tends to be more focused on information than knowledge, but this is not to say Gem is stuck there. Obviously, information leads to knowledge. The general difference between a Gemini and a Virgo, both ruled by Mercury: Gemini wants to know something about a lot of things. Virgo is happier to know about fewer things in more depth. You might say that Mercury, metaphorically, is the planet Earth revolves around in our current Age. If humanity is already in or on the cusp of the Age of Aquarius as many astrologers contend, our current Mercury-centeredness supports another concept. That’s the idea that Uranus, the ruler of Aquarius, represents the higher octave of Mercury. If we follow that logic, Virgos, whether they have a Uranus-to-Virgo planetary relationship or not in their natal charts, are likely to become more “Uranized” these days. It’s as though Mercury has deferred to the higher resonance of Uranus to take the lead during our current transitional times. No surprise, transiting Uranus is part of a three-year square with Pluto effecting major, universal changes. This is why the sign of Virgo is becoming “Radical Virgo” as part of a larger cycle of evolution. I have never experienced a time where I have had to sort through more information and make more decisions in a single day. What I do in a week, I didn’t do in a month as a young adult, let alone as a kid. The effect is a sense of time speeding up, of its being more mercurial, changeable or fluid. When I look back on a month, it often feels like I’ve just lived through a year. Some days, time almost seems to stand still; there is so much happening. My friends and I refer to all the growth we’re experiencing, a considerable amount of it painful, as thick times. As odd as it sounds, there’s a sense of time being both faster and slower all at once. There’s only one way to be able to get through the mental and emotional bombardment of rapid evolution. That’s to be able to process information and synthesize what you need from it at higher and higher speeds. Feelings come from how we think about or perceive things. There is an inexorable link between thoughts and feelings. They are as intertwined as the root structure of the living Virgo Green Woman we have been envisioning as Root or Radical Virgo. Those roots are actually the networks connecting us via the Internet. Many of you already know that this blog was named after an article I wrote in The Mountain Astrologer in 1992 called “The Radical Virgo.” Judging by its popularity for more than two decades, the original “Radical Virgo” is timeless. I have received many positive comments about it over the years, housed on this website and in the Australian archive, A Place in Space. The enthusiasm of one reader about the article was the impetus for creating The Radical Virgo blog in 2009. This month’s posts will go deep into the skills for modern living represented by the evolved Virgo archetype. 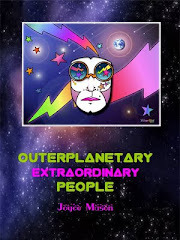 We’ll also explore Virgo mythology for a look at how these long repeated tales support reaping the bounty of a full life during our time on Planet Earth. 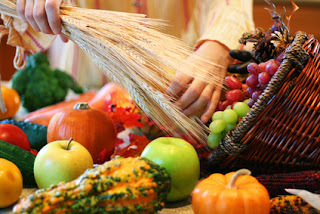 In the zodiacal wheel, Virgo is the last stop before the harvest at Autumn Equinox. Where I grew up in the Midwest USA, autumn is a time of homecoming games and the football season. I know fall is around the corner when I lose my husband to the gridiron on Direct TV. This time of year brings up so many emotions for me. Autumn’s breathtaking beauty and rich colors make me acutely aware of how exhilarating it is to be alive. What makes it so ironic: Autumn is the burst of beauty before everything begins to die, that sense we get at Halloween. We try to thumb our noses at death with outrageous costumes and a general attitude that’s death defying, but we still know winter and the inner time is marching steadily into our reality with every moment of earlier darkness. In the larger scheme of our lives, we are faced with time marching on, knowing we, too, are temporary. As we say good-bye to summer, let’s say hello to Virgo and learn more about what this pivotal sign has to teach us about living fuller and serving well.